denigrate all formal approaches risks blinding enthusiasts to the dangers inherent in unchecked participant power , as well as to the protection which State institutions and professionals can provide to individuals and communities. accountable, and monitoring the completion of agreements reached between participants. 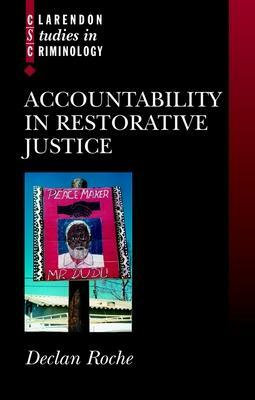 This book also considers the role played by formal types of accountability, such as external review. It suggests a new approach, in which judges become more involved in monitoring the quality of deliberation in restorative justice conferences than with enforcing traditional sentencing principles.